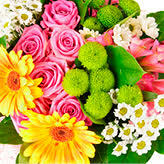 Sending flowers through Direct2Florist offers numerous benefits. For example, when placing an order, you get to select the local florist that will deliver your order, even when sending to the other side of the world. What's more, going local means you'll receive better value for money and bigger bouquets coupled with super service. That's the Direct2Florist way. Size matters. 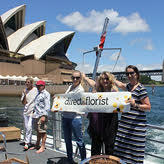 That's why at Direct2Florist we believe you should get as many blooms as possible for your money. Unlike most of the other flower gift companies, we let you order directly from local florists, without taking commission, which can sometimes be up to 30% of the order value. That means 30% more flowers for your money with Direct2Florist. We guarantee that no money is taken by middle men. Direct2Florist's unique system connects you with the talented local florists that belong to our international network. All ready and waiting to deliver that special floral delivery on your behalf. 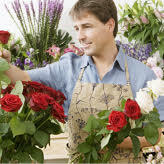 By connecting you directly with local florists your flowers arrive sooner. It also means same day delivery is possible, even on the other side of the planet. That's the beauty of going direct. We believe the Direct2Florist way is the best way to send flowers, which is why we invite every customer to submit a star rating and review for their chosen florist. 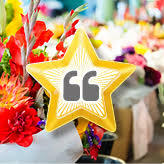 That means you can select a florist having read real, unbiased reviews. 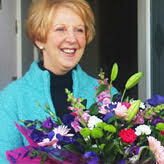 With Direct2Florist 100% of the money you pay for your flowers goes to the florist - guaranteed - which means they can deliver bigger bouquets every time, making your delivery extra special.